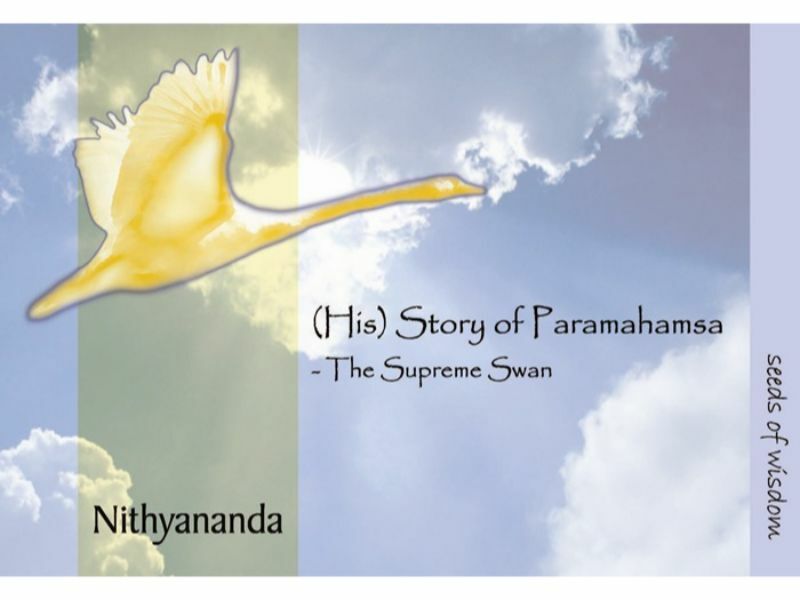 In “(His) Story of Paramahamsa Nithyananda, you will imbibe the beautiful meaning behind the word Paramahamsa, or The Supreme Swan. The lineage of Enlightened Masters, or Paramahamsas, take the form as human beings in order to bring deep spiritual awakenings and radiate ancient spiritual wisdom to every person on this planet. In addition, you will glimpse the purposes for the existence of Living Incarnation Paramahamsa Nithyananda, including making you experientially realize You are He! By understanding His story, you will understand the powerful bond between Master and disciple! Paramahamsa or the Supreme Swan is a mystical bird which flies at great heights. They are actually enlightened Masters who take up a bird-body from time to time. Through the story of the Supreme Swan, Nithyananda describes the happening of Paramahamsas or enlightened Masters on planet Earth and the myriad plays of disciples (represented as fish) around them.Through this enchanting narration, he illumines the esoteric yet exciting Master-disciple phenomenon that happens on planet Earth.